Born in 1923, Burns Black was born and raised in and around the valley where the Rockin’ R Ranch is now located. They were farmers and ranchers, and Burns practically grew up on the back of a horse. They survived the Depression years with food and meat raised on their farm. Life for the Black family was simple, good, and filled with a lot of hard work. Burns married his sweetheart, Mona Lundgreen, in 1944. And after a two-year stint in the Navy during World War II and a mission for his church in the Eastern States, they settled their small family, which later grew to include eight children, on their own farm in the valley he loved so much. Burns loved the western lifestyle and wanted to share it with others. With the help of two friends, they opened up the doors of the Rockin’ R Ranch in 1971 as a boys’ and girls’ summer camp. For a decade, youth came to the Ranch during their summer breaks and enjoyed the horses, water activities, and farm and ranch lifestyle the Rockin’ R offered. Back then, the Ranch operated out of two farm houses and a couple other small buildings. In the early 1980’s, the Burns Black family took the next step for growth, and Burns’ dream of expansion began to become a reality. His dream was huge! He wanted to give people from all over the world the opportunity to enjoy the cowboy and western way of life he enjoyed so much. He needed to build a big lodge to house all of the guests. Without a large budget to work with, he and his sons set up a portable sawmill on the property and brought in pine trees from the nearby mountains to cut the lumber needed for the bigger-than-life project. With the help of Burns’ four sons, his ever-patient wife, and others, the lodge was built board by board into a beautiful three-story lodge. There were 18 private guest rooms, two large bunk rooms on the third floor, and a large gathering area, dining area, and kitchen. He built it, and they came. The first couple of years, guests consisted mainly of large youth groups and family reunions. Mona did all the cooking, cleaning, and everything else that needed to be done in the lodge. Burns did the marketing, activities, and of course farming and ranching, with the help of his sons. Burns knew he needed to expand even more. In 1988, they added on a wing to the west with a large main-floor recreation area, additional dining area, and second-floor conference room and large bathroom areas. They also extended the north wing to add a small owner’s apartment and two more guest rooms. And the guests continued to come. More rooms were needed. So, in 1995, the third-floor “bunk rooms” were divided into guest rooms and private bathrooms were added to all the rooms. 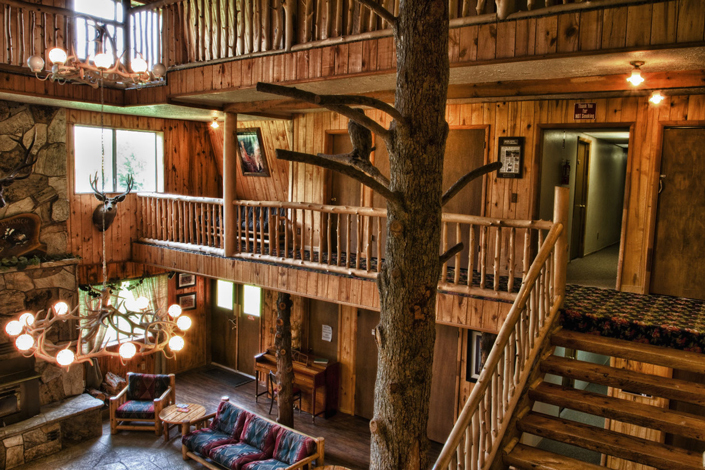 A new addition to the lodge brought a game room, gift shop, a larger laundry work room, and more guest rooms. For the last 30 plus years, the Black family has welcomed people young and old from all over the world to their ranch. They’ve come as individuals experiencing an authentic cattle drive, honeymooning couples wanting an adventure, small families learning how to ride horses, large extended families spending quality time together at reunions, and youth groups enjoying the outdoor recreation opportunities. For many years, Burns always enjoyed entertaining them in the evenings with his guitar and beautiful tenor voice. 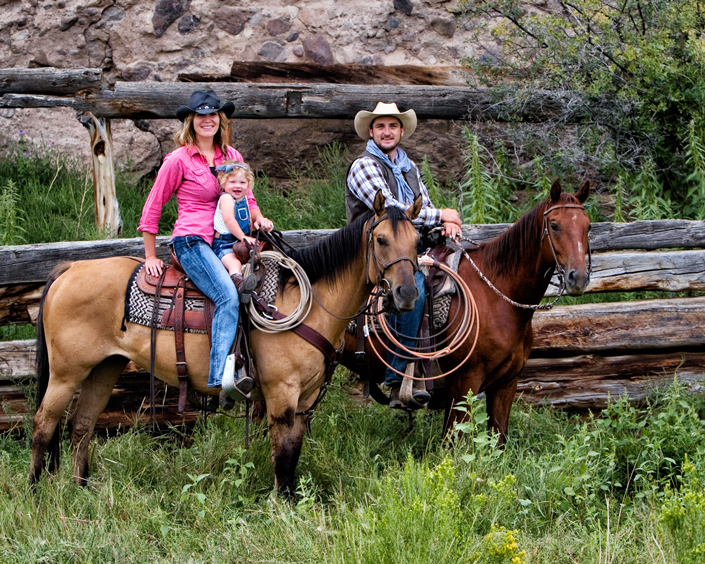 In 2009, the Black Family “adopted” Brandon and Brandi Hanks into the family to manage the guest operations, and they have since become partners in the Rockin’ R Ranch. As their family has grown to six, they’ve become a critical element to the success of the Ranch. 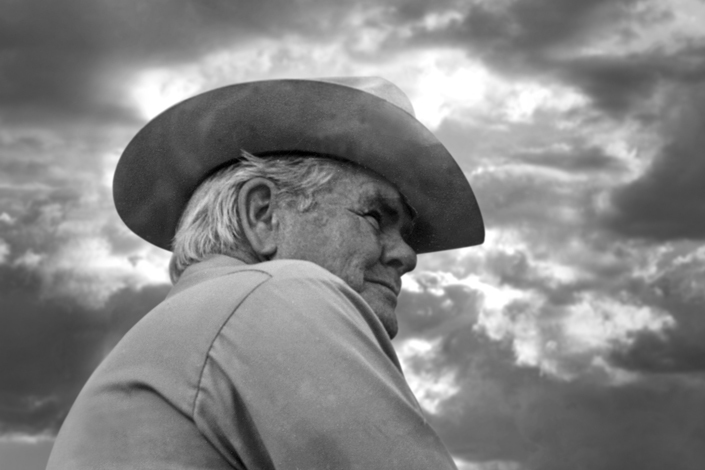 Burns remained an active participant in the Rockin’ R Ranch until his death in 2012, at the age of 88 years old. His wife, Mona, passed away in 2016, at the age of 90 years old. 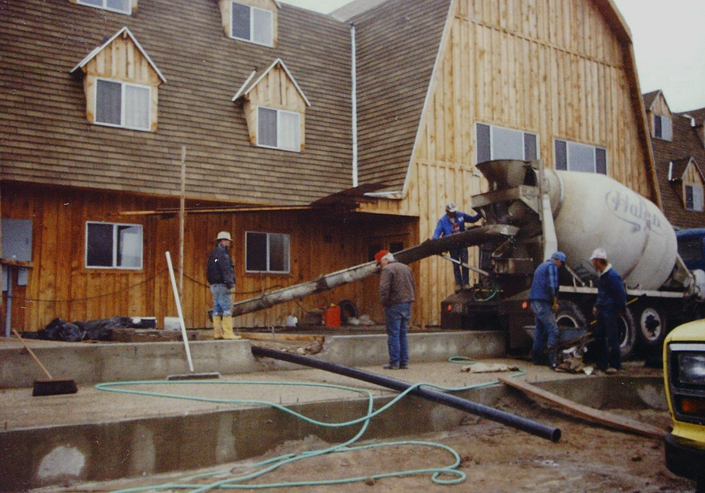 A few of their children are still very involved in the operations of the Ranch. We invite you to come experience the Great American West and witness for yourself what the Black Family has known for generations.